Today we’re welcoming Melanie McFarlane, talking about building her futuristic world inside a dome. Giveaway at the end of the post. Woohoo! Hi there, Mel! Which did you come up with first, the characters for your story, or did the world come first and then the characters? 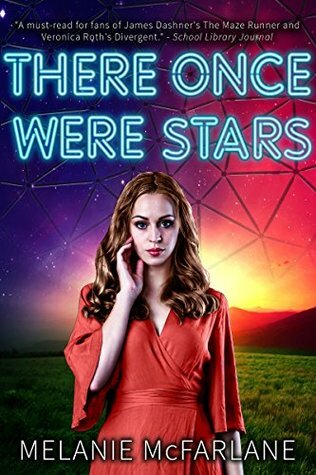 When I wrote There Once Were Stars, the world came to me fast and furious. I wrote my first draft in three months. I had always wanted to write a story about people who lived in a domed city, because of radiation from a nuclear war. But it wasn’t until I was watching The Walking Dead that I realized I wanted the story to be about people trying to survive after a global pandemic. From there the character of Natalie Greyes developed. I needed someone sweet, yet broken by the system – which is where the idea of the death of her parents developed. But I also needed her to be so innocent and naïve that the thought of a rebellion from inside the safety of a dome was a challenge to her. I tried to give her the personal stakes, similar to Katniss in the Hunger Games, but without the inborn survival skills. When it came to developing the dome, I researched biodomes, ventilation systems, and basic engineering. I stayed away from writing any hard science, and let my imagination take over from there. To do this I focused on three things, making them important to the plot – the exterior had to be able to withstand a nuclear war, the Outer Forest needed to exist inside the dome’s interior ring, and the Axis had to be able to reach the top of the dome’s center. After that, researching the Outer Colony for Here Skies Surround Us was a breeze – basic construction and water filtration became key. Book three would be a mix of both – so it will be interesting how that pans out. 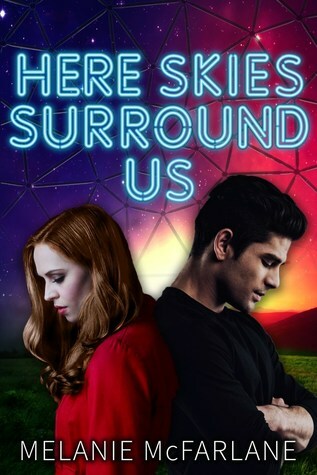 This entry was posted in Author Interview and tagged here skies surround us, Jenifer Eaton, jennifer M. Eaton, Melanie Mcfarlane, there once were stars. Bookmark the permalink.